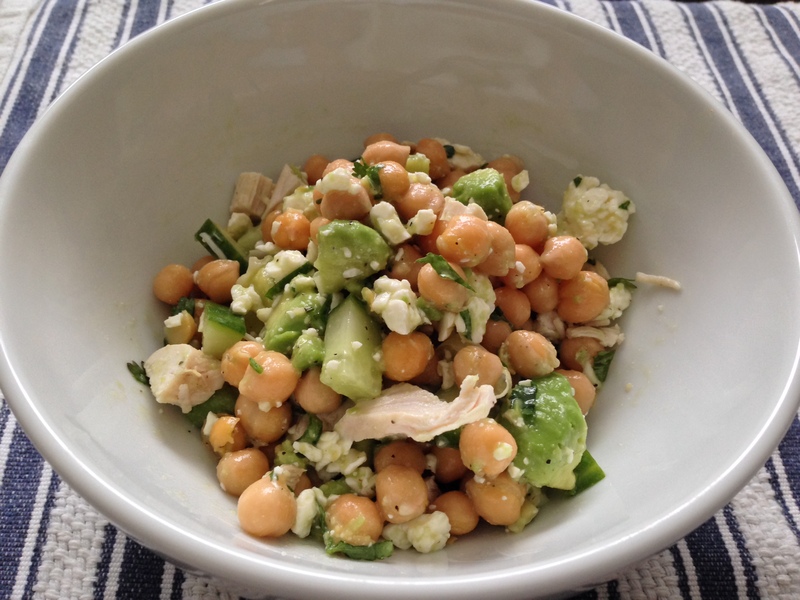 Light but packed with healthy proteins, this no-fuss chickpea feta salad works great on its own or served alongside grilled chicken or fish. I had mine with leftover herb roasted chicken, tomatoes, and cucumbers. Combine ingredients in a bowl, stir, and season with salt, pepper, and a drizzle of olive oil. It’s just that easy – and delicious – because, who ever said all good meals need to be slaved over for hours on end? A tip: mush the avocado a bit as you stir. Combined with the lemon juice and olive oil it coats the chickpeas in luscious goodness.